As a savvy business owner, we don’t need to tell you the importance of having an online booking software for your salon. However, we do have a few points to ensure that your salon software is one that works as hard for you as you do for your business. Gone are the days where you wake up, check your emails and voicemails left by staff, “double-checking” what their schedule for the day is. Your salon software should help with salon scheduling, allowing your staff to access their schedule for the day, week and month ahead. Business Pro Tip: A salon management software should allow staff to have individual calendars, indicating the type, and length of service available to clients. A salon management software that supports client management, and sends appointment reminders is extraordinarily useful as your business increases. Business Pro Tip: Did you know software that supports client management and salon marketing can reduce no-shows by 70-80%? We’re often reminded that people book appointments with people, not times. Your salon’s software should allow for clients to see what stylists are available to them and determine if they are a good fit for what they want. When using your software for salon marketing, providing information about what your staff’s expertise is or how long they’ve been a stylist for. This allows customers to decide who they feel most comfortable booking with. Business Pro Tip: A salon software that allows for staff profiles should also allow for client profiles. See below! There are few questions more embarrassing than asking your client when the last time they visited you was. Salon software should provide client profiles for staff to review details of who they are booked with. Impress your clients by remembering details. A software’s client management profile should allow you to document (or “remember”) what service they received last visit, what colour they chose, or what product they said they were interested in purchasing. Business Pro Tip: In your client’s profile, note birthdays or special occasions clients have mentioned. When booking their next appointment, ask how their occasion went. Clients will be impressed that you remembered such a personal detail. A great way to ensure repeat business! If your client is not near a computer, that shouldn’t stop them from booking an appointment at your salon. The best salon management software are the ones that allow clients to book on-the-go. Avoid setting barriers between your business and your clients. By accessing your salon’s booking system, clients won’t need to search for your number, be put on hold, or wait for business hours to speak to someone. Booking or changing appointments from your salon’s app is key to giving your salon an advantage over your competitors. The more accessible your business is, the more business you’ll receive. Business Pro Tip: Salon management apps should not be exclusively offered to clients. Salon apps should be available to your staff as well. Chose a salon software that provides staff AND clients the ability to access schedules, changes business information, and make updates from their phones. 6) Book An Appointment on Facebook! Did you know that some businesses have taken the smart, social media step of allowing clients to book appointments on Facebook? Just think of how accessible your salon could become if a potential client scrolls through your salon’s Facebook page, likes what they see and can book an appointment right on the page! 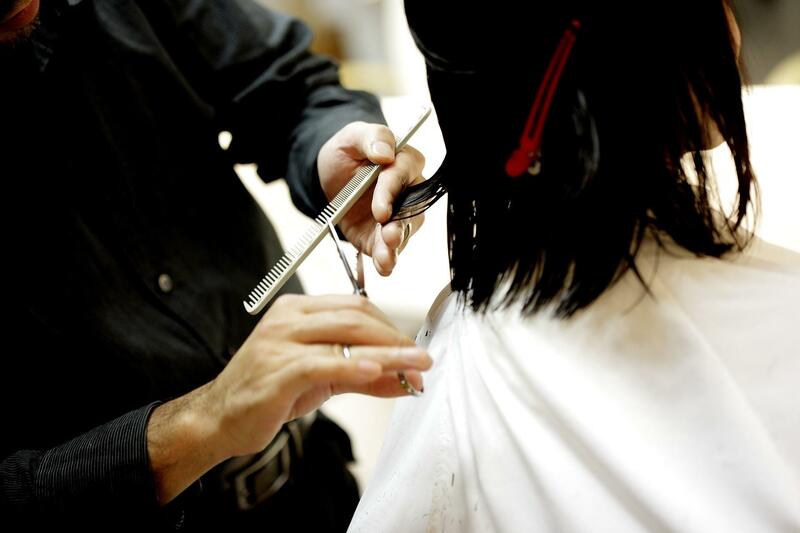 Not all salon software has this savvy capability, so make sure yours does. There are many factors to consider when deciding what salon management software is best for you and your clients. However, be sure the software you chose allows your business to look as polished as your clients do after an appointment.